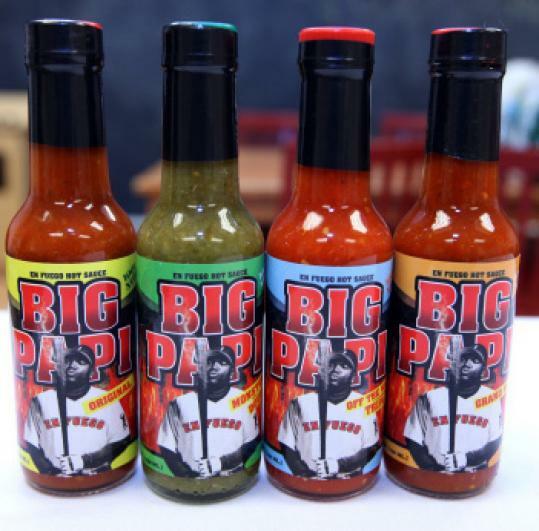 David Ortiz has received about $4.5 million in endorsements, including his own line of hot sauce. Big Papi is likely to get a lot smaller in the marketing world with news that the Red Sox slugger tested positive for performance enhancing drugs. With his genial nature, mile-wide smile, and pristine reputation until now, David Ortiz has racked up about $4.5 million in endorsements over the years from companies including Reebok, JetBlue, and Glaceau, the maker of vitaminwater, according to the 2009 Sports Illustrated list of the 50 top-earning American athletes. But his reign as the face of the Red Sox has probably come to an end as companies seek to distance themselves from the scandal. Sports marketing analysts say they expect businesses sponsoring Big Papi to try to release him from contracts, especially because he suffered through a bad slump at the beginning of the season. Other companies stuck in deals will probably not renew the partnerships and, in the meantime, use the designated hitter less in advertising promotions after he was linked to performance-enhancing drugs. “The success or failure of any brand is trust, and David Ortiz has broken this bond of trust,’’ said John Fisher, former chief executive of shoe company Saucony, who now runs a sports marketing consultancy in Boston. “Fans will be more forgiving than corporate America. Businesses do not want to risk being associated,’’ he said. Red Sox officials declined to discuss the matter. And Big Papi’s partners, usually eager to talk up their star, were silent yesterday. Among those declining to comment: Reebok, JetBlue, Easton, Back Yard Sports, Atari, and Off Beat, the New York-based brand developers that helped Ortiz create a new hot sauce line. Glaceau, Sony Electronics, and Wise Snacks, which honored Ortiz as the Red Sox team’s “Wise Player,’’ did not return messages yesterday seeking comment. The news also comes just days after Ortiz opened his first restaurant, Big Papi’s Grille, in Framingham. If there is a drop in sales of Ortiz merchandise, it will not badly hurt the Red Sox bottom line because those revenues are shared with all the Major League teams, according to sports marketing analysts. “This might be slightly damaging for the Red Sox, but fans will quickly ignore it because of the love they have for team,’’ Cakebread said.